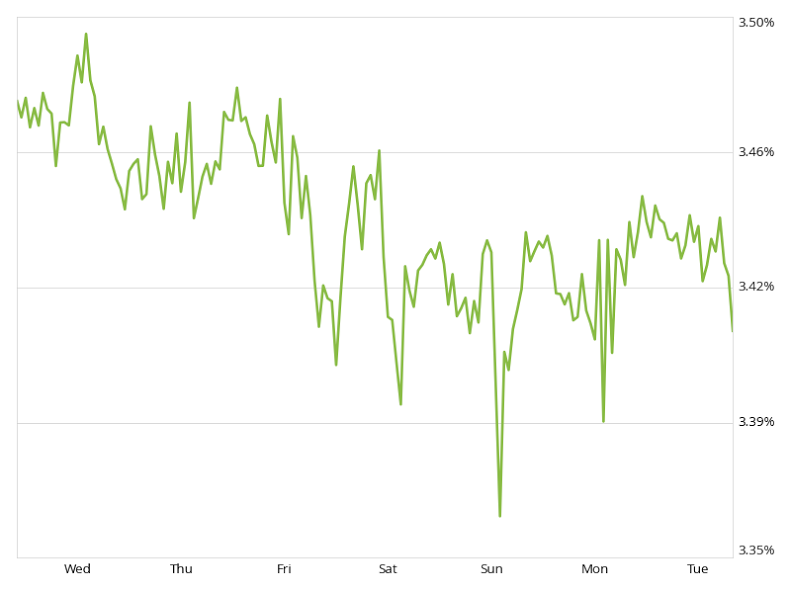 Current mortgage rates for 30-year fixed mortgages decreased this week, with the current rate borrowers were quoted on Zillow at 3.42 percent, down 5 basis points from last week. The 30-year fixed mortgage rate dropped early in the week, hitting 3.36 percent before rising to the current rate. "Mortgage rates fell last Friday after a disappointing May jobs report, but have since recovered some of that initial decline," said Erin Lantz, vice president of mortgages at Zillow. "This week we expect less volatility with several less significant data releases on the schedule." Additionally, the 15-year fixed mortgage rate was 2.66 percent, and for 5/1 ARMs, the rate was 2.73 percent.